Synthetic biology is a controversial topic especially in Germany. Therefore, public outreach efforts are necessary to enhance the general understanding of synthetic biology and to facilitate acceptance. In return, the scientific community can profit from the bidirectional dialogue. During the summer we had several opportunities to engage in such dialogues. To raise awareness of the benefits of such exchange for scientists one of our team members gave a lecture to students of biology. It covered ethics in the context of iGEM and synthetic biology. 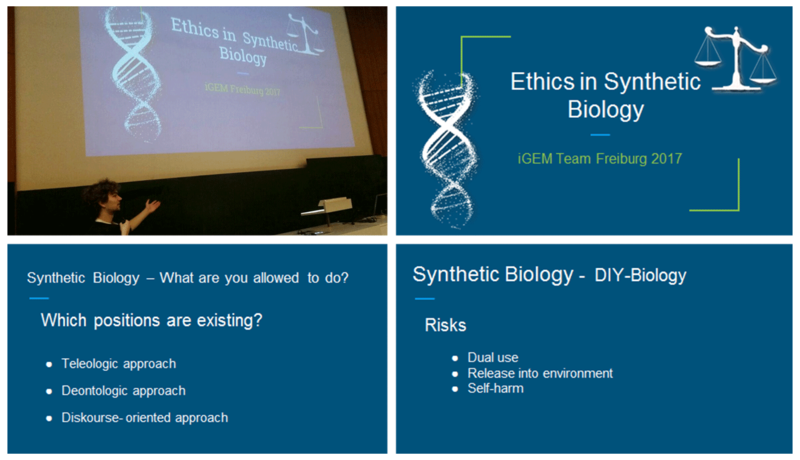 Lecture about iGEM and ethics in Synthetic Biology in the course 'theory of science and ethics'. The lecture was held for undergrad students of biology in the course 'theory of science and ethics'. First, projects of successful iGEM teams were presented to give an overview about the importance and variety of synthetic biology. In this context ethical implications of genome engineering using CRISPR/Cas9 were discussed. This raised essential questions of principles like 'What is life?' and their ontological circumlocution as well as the ethical justification for the actions of a bioengineer. The discourse evaluated common philosophical positions and compared their arguments. For example conservative and liberal anthropocentrism, as well as teleological and deontological approaches to justification of synthetic biology. Additionally, the possible interpretations of synthetic biology from the perspective of monotheistic religions were discussed. 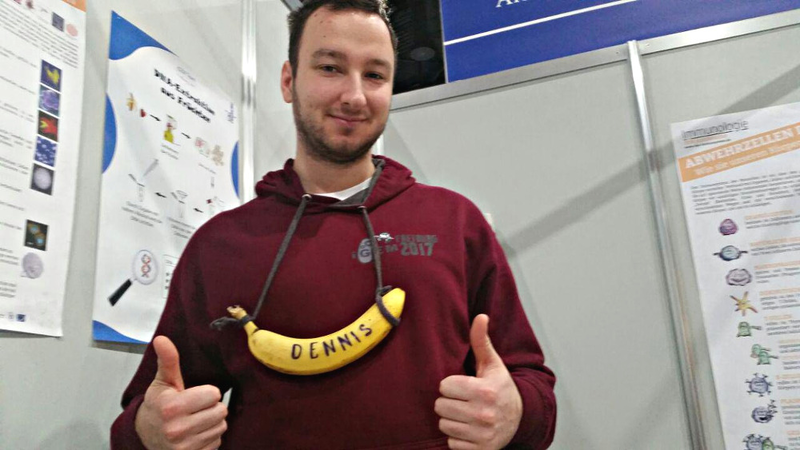 In order to engage with the local community we participated in the science fair Freiburg. Local institutes and companies presented their research to an interested audience from young to old and offered the chance to do easy experiments especially for children. Our project received a lot of interest and people recognized the importance and potential of synthetic biology in health care. However, they expressed many concerns regarding genetic modification as well as immunobiology and specifically vaccination. Apart from discussions with curious visitors we offered a few activities to generate interest in science. Impressions from the science fair in Freiburg. We aimed to give people a better understanding about the functionality of the immune system. A puzzle termed immunology for everybody (Immunologie für Jedermann) which was gratefully provided by the German Society for Immunologie (Deutsche Gesellschaft für Immunologie e.V;. DGFI) helped us to explain the different types of immune cell in the body. We talked to people about the importance of vaccinations and faced their questions and insecurities by explaining how the immune system actually works. 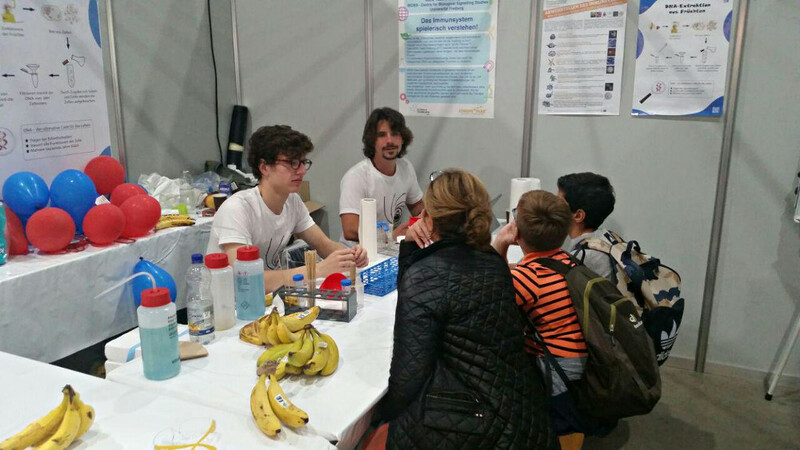 For young science enthusiasts we offered a DNA extraction from fruits by materials commonly found in households and taught them about the properties of the DNA and its building blocks, the nucleotides. Not only the kids, but also their parents were impressed since they do not get the opportunity to see DNA with the naked eye every day. DNA extraction of bananas at the science fair. To investigate the origins of such concerns a survey was conducted. Participants were asked for their opinion on specific applications of genetically modified organisms (GMOs) and synthetic biology to identify factors which facilitate or hinder acceptance. The survey was spread via social media; we got feedback from over 140 participants from different countries, who shared their beliefs and opinions. The survey revealed, people can be convinced about the benefits of synthetic biology by displaying its practical applications, for example recombinant human insulin or Golden Rice. In respect to the immune system and vaccinations, there is a clear faction which takes sides for the necessity of vaccines for the whole community. Those who are reluctant towards vaccinations, reveal what their main reasons for their attitude is. A high proportion of participants is studying sciences. Genetic modification is most accepted for the purpose of medicine or pharmaceuticals. 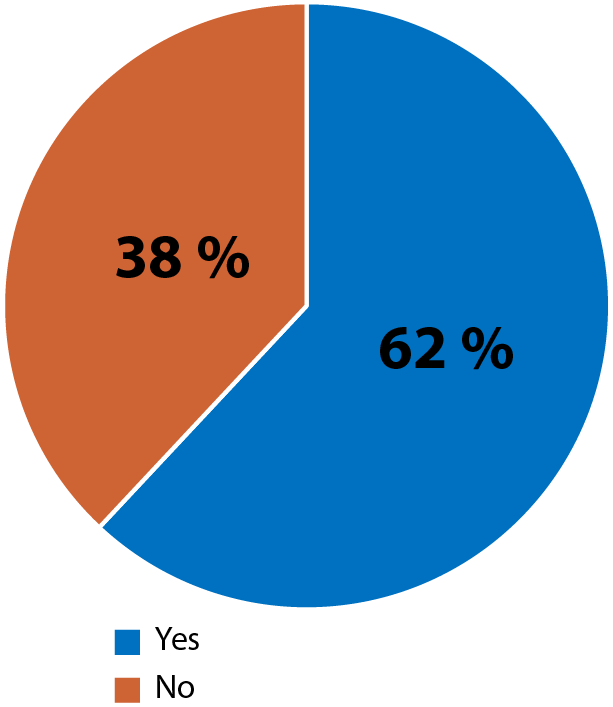 Majority in favor of recombinant insulin for diabetes. Three times more people accept GMF in specific case of golden rice. 41 % of participants do not feel adequately educated about the immune system at school. A majority is open to receive more information about the immune system. 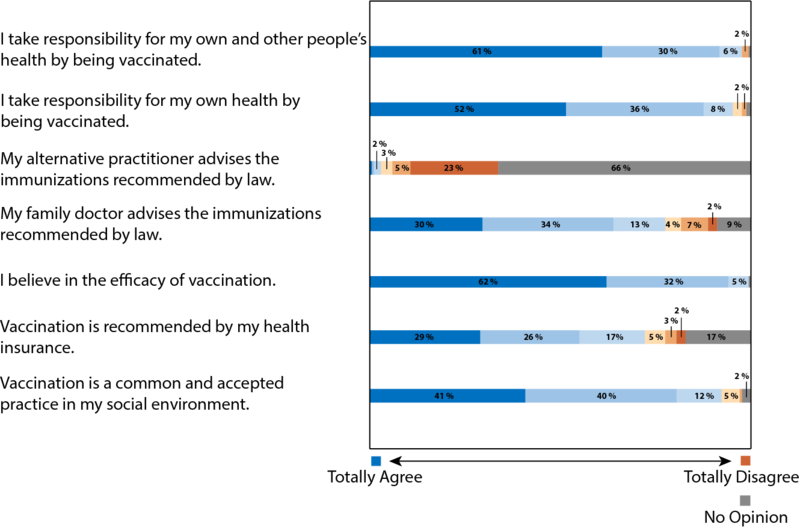 A disturbingly high fraction of 21 % does not vaccinate themselves and more than half think nationwide mandatory vaccination would better prevent outbreaks of infectious disease. A vast majority claims to take responsibility for their health and the health of those around them by vaccinating. 91 % would prefer a reminder provided by the government for necessary vaccinations. 42 % of those not vaccinated state they have lost track of their immunization schedule. More than 140 participants shared their opinion. The survey is not expected to be representative, but it can give an idea of what people are most concerned about. People were asked to answer simple 'Yes' or 'No' questions or to rate statements on a scale. They also had the possibility to choose 'No opinion', if they did not want to give an answer. Via social networks mainly young participants were reached, the average participant was 27 years old. 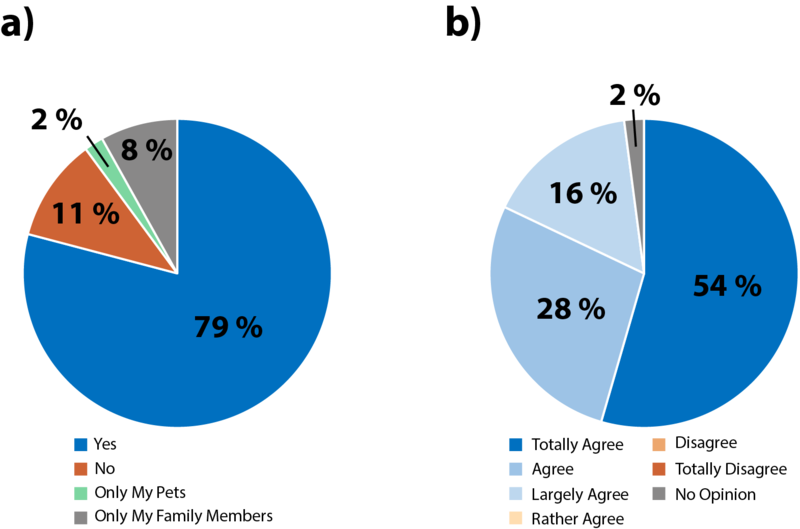 With 63.3 % currently studying and 34.5 % of all the participants already having a university degree, the majority has a mainly academic background. 59.3 % stated they are students of natural sciences. Figure 1: Synthetic biology is a branch of molecular biology that attempts to change or create biological systems and signaling pathways by genetic modification of cells. Have you already heard of synthetic biology (n=142)? Participants were asked to rate the applicability of the statement 'The use of genetic engineering is ethically acceptable in the following sectors' to the areas: Gene Therapy, Medical Research, Industry, Pharmaceutical Industry, Agriculture. Possible answers were: Totally agree, I agree, I rather agree, I rather disagree, I disagree, and I totally disagree (n=142). Insulin is a central hormone of human metabolism. Diabetics cannot produce it at all or not in the required quantity. Hence, patients depend on the active intake of insulin. Until the 1980s, insulin was solely gained from bovine and porcine pancreata. But 1.5bn porcine pancreata were necessary to satisfy the demand for insulin by 300m diabetics world-wide. In 1982, scientists were able to insert the human gene coding insulin into the bacterium E. coli. These bacteria produce human insulin in large amounts. It is purified and used for treating diabetes. Still, the produced quantities are not yet sufficient to relinquish animal-derived insulin. Respondents were presented with the short introduction to recombinant insulin shown above. Subsequently, they were asked to rate the questions shown on the following scale: Totally agree, I agree, I rather agree, I rather disagree, I disagree, and I totally disagree (n=142). We tried to influence the acceptance of genetically modified food (GMF). First, people were informed about Golden Rice, which was produced in Freiburg (see text below). At the end of the survey people were asked to evaluate the same criteria again for GMF. We wanted to test, whether people’s acceptance towards genetic modification could be changed when they are faced with a concrete application for GMF. Our hypothesis was, that people tend to show a spontaneous emotional reaction to GMF, while in specific cases they are rather convincible by the potential of genetic modification in agriculture. This would result in positive attitudes towards Golden Rice compared to GMF in general, which would shift responses towards affirmation for genetic modification. White polished rice is a staple food in many countries of Southeast Asia. It contains less nutrients, e.g. vitamin A, compared to brown unpolished rice. Combined with poverty and under-supply this can lead to life-threatening malnourishment, one of the main causes for high childhood mortality in these countries. In 2000, rice containing beta-carotene, a precursor of vitamin A, has been developed in Freiburg using genetic engineering. It is promoted for being a way to effectively decrease malnourishment in regions with rice as staple food. Still, it is seen only as one action among others to sustainably counteract under-supply in poor countries. Genetically modified foods are defined as being produced by genetically modified organisms. Genetic material foreign to the species is inserted and provides the organism with additional qualities or avoids unwanted properties. Culturing genetically modified organisms is highly regulated in Germany but the USA and some European countries are more liberal on this issue. Your opinion on a) Golden Rice (n=151), b) genetically modified food (n=143): Possible answers: Totally agree, I agree, I rather agree, I rather disagree, I disagree, and I totally disagree. Figure 5: Detailed knowledge of the immune system is no common property. People usually rely on information by scientists and doctors. We would like to know how satisfied you are with your state of knowledge regarding the immune system (n=148). Possible answers: Totally agree, I agree, I rather agree, I rather disagree, I disagree, and I totally disagree. In general, would you be interested in voluntary receiving comprehensive information on advantages and disadvantages of vaccination (n=146)? Possible answers: Totally agree, I agree, I rather agree, I rather disagree, I disagree, and I totally disagree. This reveals, that a huge fraction of participants doesn’t feel well consulted about this topic by their doctor. Are you, your family members and your pets vaccinated regularly? b) I think that nation-wide vaccination can prevent an outbreak of disease in nurseries (n=148). 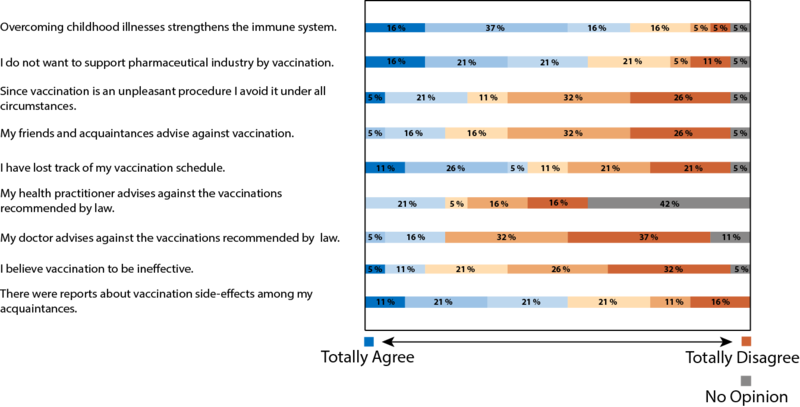 We asked those who have been regularly vaccinated, whether a nation-wide vaccination campaign can prevent outbreaks of diseases in nurseries. This is at the moment controversially discussed in Germany. Our participants were clearly convinced, that this would be an effective measure to prevent outbreaks of diseases in nurseries. Figure 8: Vaccination is mostly accepted by society. Nevertheless we would like to learn about your personal motives for this rather unpleasant procedure. State your reasons for vaccination (n=145). Possible answers: Totally agree, I agree, I rather agree, I rather disagree, I disagree, and I totally disagree. Depicted here are the most common reasons for which people undergo a vaccination. As a leading motivation, the believe in the efficacy of vaccination was cited, followed by the awareness of responsibility not only for themselves, but also for others. The least motivating reasons are recommendations from the health insurance or general practitioner. Since an outbreak of measles, there is a controversial debate on reintroducing mandatory vaccination. Some people regard this as a violation of personal rights granted by the German Constitution that states individual freedom of choice as basal right. Other people regard vaccination as necessary service for the common good (n=127). Possible answers: Totally agree, I agree, I rather agree, I rather disagree, I disagree, and I totally disagree. These questions were only addresses to people who stated to vaccinate themselves and their family members. There are many reasons why a regular vaccination is not wanted or possible. In the following questionnaire you can enter which reasons are most true for yourself (n=19). Possible answers: Totally agree, I agree, I rather agree, I rather disagree, I disagree, and I totally disagree. These questions were only addressed to people, who stated to not vaccinate themselves or only their pets. From the survey we gained valuable insights which helped us to better engage with the public at the Science Days. This event’s purpose was to inspire young children and awake their curiosity in science. The Science Days are hosted in the Europa Park, one of the biggest theme parks in Europe. Its purpose is to bring research and science closer to children and school classes, and appeal to their joy of discovery. In addition, adolescents, parents and teachers are informed about institutes, companies, and education possibilities. For young explorers, we again offered to extract DNA from bananas. Based on the insights gained in the survey, we improved our interaction with visitors by highlighting the benefits of synthetic biology. We had great success which was shown by the huge interest people showed towards our project. A lot of them promised to keep track of our project and wanted us to keep them informed. Impressions from the Science Days.